It is no secret that right application performance monitoring strategy is the key to ensure that your business delivers steady performance 24/7. To get the best from your applications and ensure smooth end user experience, it is critical to identify where the pitfalls lie and be cognizant to all the end-to-end processes involved in your business applications. 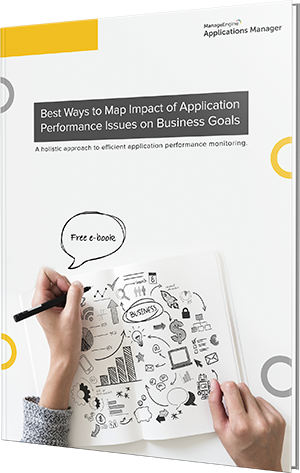 This e-book will walk you through the challenges faced while monitoring applications, their impact on your business and how you can overcome them effectively.
? 2019 Zoho Corp. All rights reserved.